Where did the Dundee Elephant Come From? Now the truth is known! In April 2015, more material was published on the provenance and history of the Dundee Elephant. 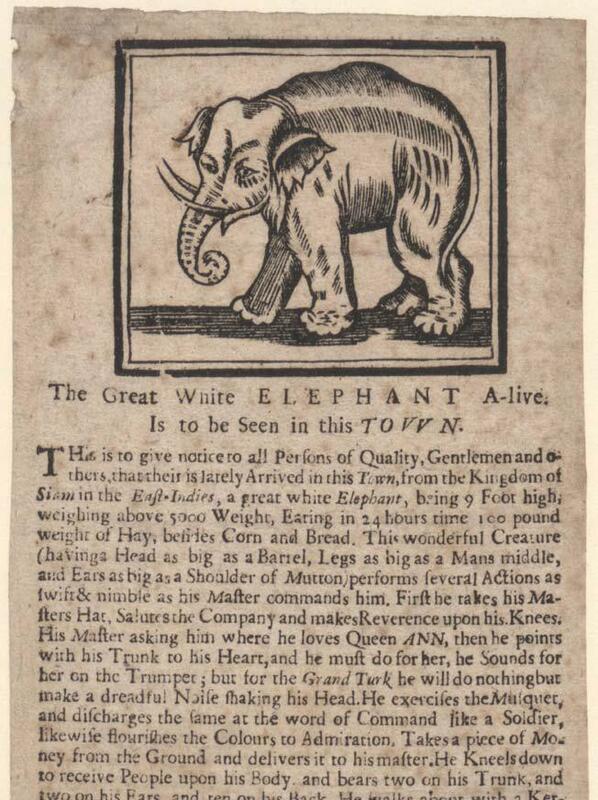 This proves that she was none other than an elephant from Amsterdam. 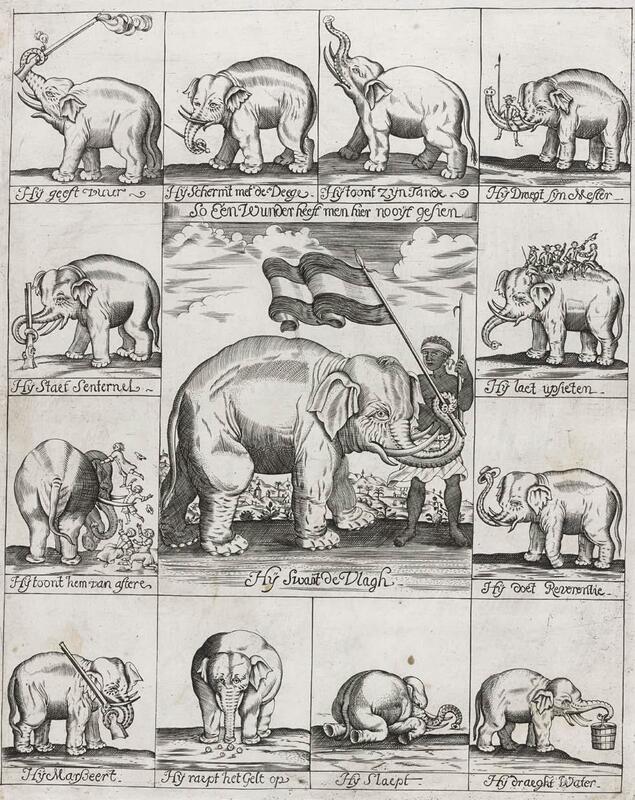 The elephant first pops up at a great trading-fair (Messe) in Leipzig in 1688. It is assumed that, at that time, the elephant was around eight or ten years old. Shortly afterwards, she was purchased by Bartel Verhagen from Amsterdam. In the course the following two decades, the elephant was shown in towns and cities all over Europe - principally Germany, but also Austria, the Netherlands, Italy, Poland, France, Switzerland and finally England and Scotland. It had been trained to perform a variety of tricks which fair delighted the assembled punters. 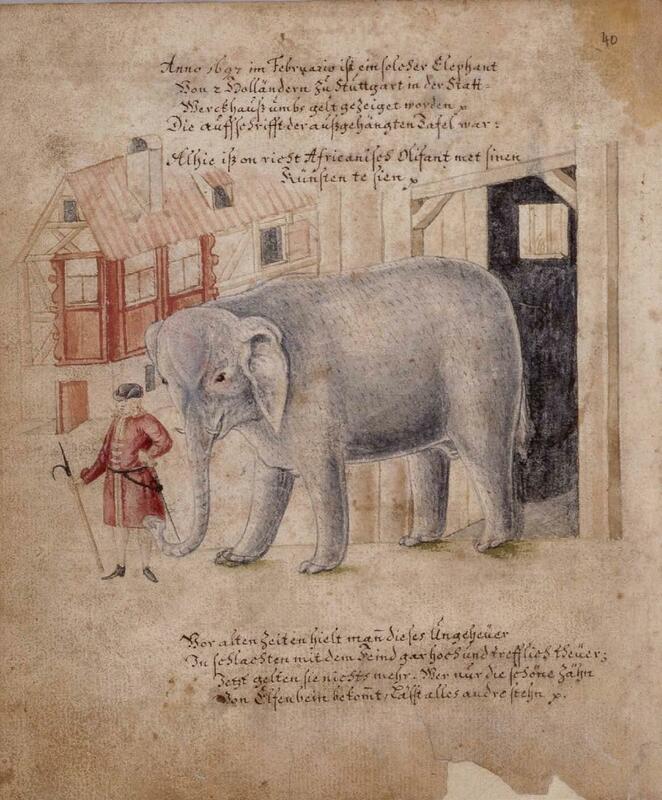 "The Council upon ane petitione given in by Abraham Sever Dutchman grants liberty to the petitioner to expose his elephant to all persones within the toun and suburbs upon his payment of ane gratification to the kirk thesaurer for the use of the poor." Some comments had been made in earlier years about the sad state of this elephant, its manifest thinness and under-nourishment. Clearly, Sever was not good at preserving the very basis of his wages, and the elephant's demise on the road from Broughty Ferry to Dundee was not wholly unexpected. 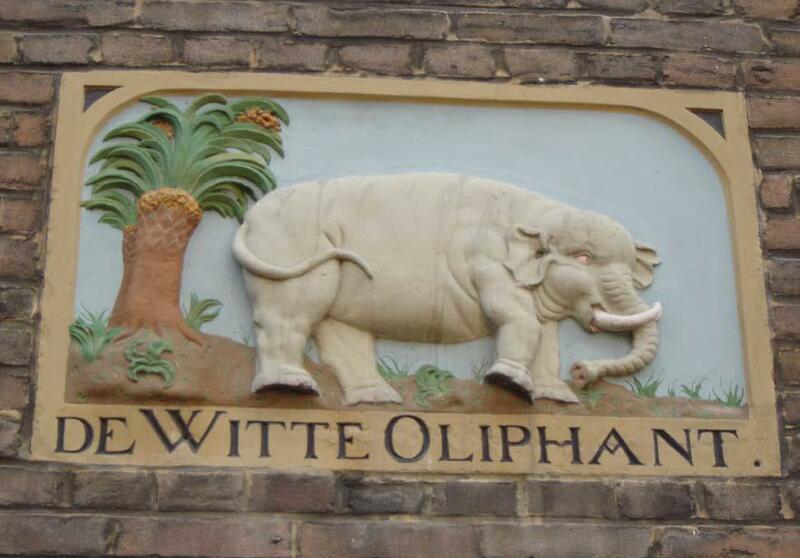 When this unfortunate event was reported to him, the Dutch notary Hendrik de Wilde (also an executor of Verhagen's will) calculated that the elephantine revenues since the death of Verhagen were 7603 guilders - a tidy sum, if you consider that an ordinary Dutch labourer earned 200 guilders a year. Accompanying the elephant on many of its travels around the Continent had been an 'African Jungle-Donkey' - a creature of 'beautiful colours', but of uncertain species, possibly a mandrill or an aardvark - but certainly not a zebra, a tapir or an onager (in case you wondered). In Nuremberg in 1695, there was also a three-legged animal on display: we make no attempt to speculate.